"...pioneering study in an area long neglected by historians." -Women's Review of Books "...we must admire this as an important and interesting contribution." -The Times of the Americas "Bush's well-organized and clearly written book will appeal to readers interested in women's studies and comparative studies of the black diaspora...readable and valuable..." -Choice "...Bush's outstanding contribution is documenting women's unique resistance: They did everything they could not to bear children. "-New Directions For Women "...extremely informative and enjoyable to read, performing the valuable contribution of collecting and analysing data about a relatively neglected topic..."-Gender and History "Both the general reader and the academic specialist should find this book a valuable contribution to the discourse on gender and slave relations in plantation America" -International Migration Review This is the first book on black slave women to take into account the complexities of gender, race, and class which made their experience of slavery different from that of the black men. 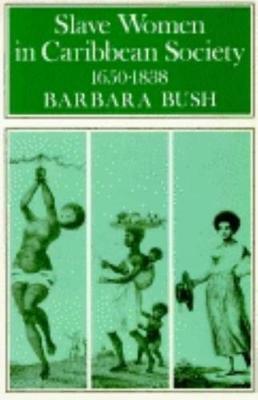 Bush challenges certain myths surrounding black women's lives as workers, mothers, and as activists in the vanguard of resistance to slavery.